theatre of noise: Join escalation 372 Tonight! What happens when you slow a rhythm down to 2 beats per minute? What do you get when you try to sing to oscillator feedback? What does it sound like when BBC Radiophonics meets a dance beat somewhere on the Starlost ark? Find out tonight in Galway. 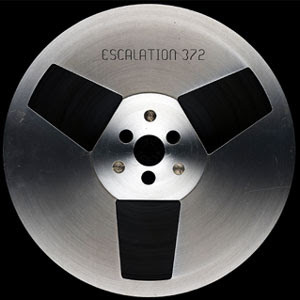 As previously announced, escalation 372, will be playing with special guest Susannah Clare, 9pm at Stress! !, De Burgo's, 15-17 Augustine St., Galway. Special visuals have been prepared for the show. Plus it's a chance to buy limited edition CDs, available at a discounted price on the night. More info on the escalation 746 website and associated MySpace mess.